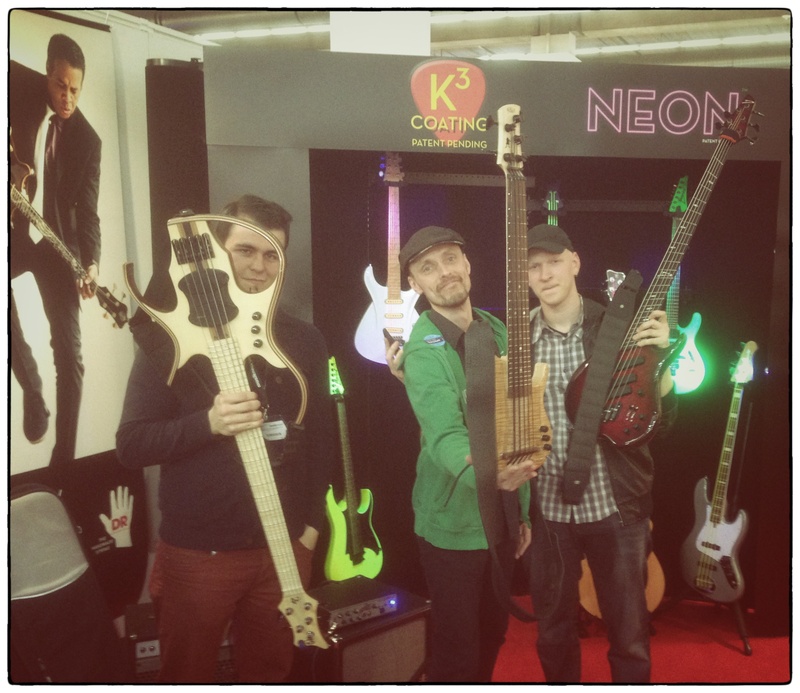 Jammin’ at the Frankfurt Musikmesse 2013! – Play UBass! 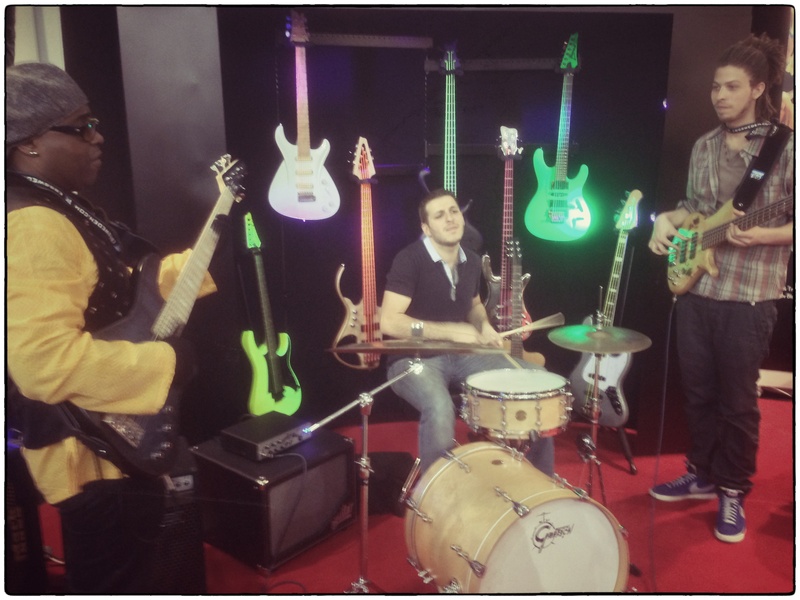 Jammin’ at the Frankfurt Musikmesse 2013! The annual Musikmesse in Frankfurt, Germany is the biggest music fair in Europe! Although it has been bigger, with even more exhibitors, it sure is big! I have been thinking about going there for many years but haven’t managed to go until this year. So why go now? There are at least a couple of reasons…! 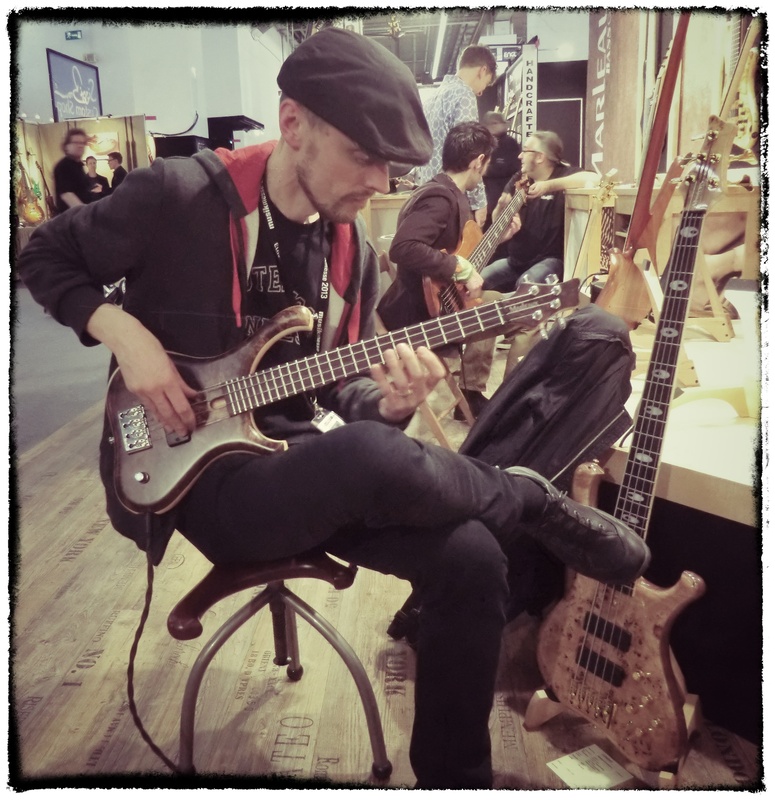 In Sweden there has not been that many opportunities to try out different Ubass models. The popular demand of the Ubasses is really nice but it has been a bit difficult to get enough Ubasses to Sweden. There is already been a change for the better and I hope the availability will be even better! The Scandinavian Kala dealer is Akustikken. Please check out their site! I hope to do so in the future as more and more models arrive to Sweden! 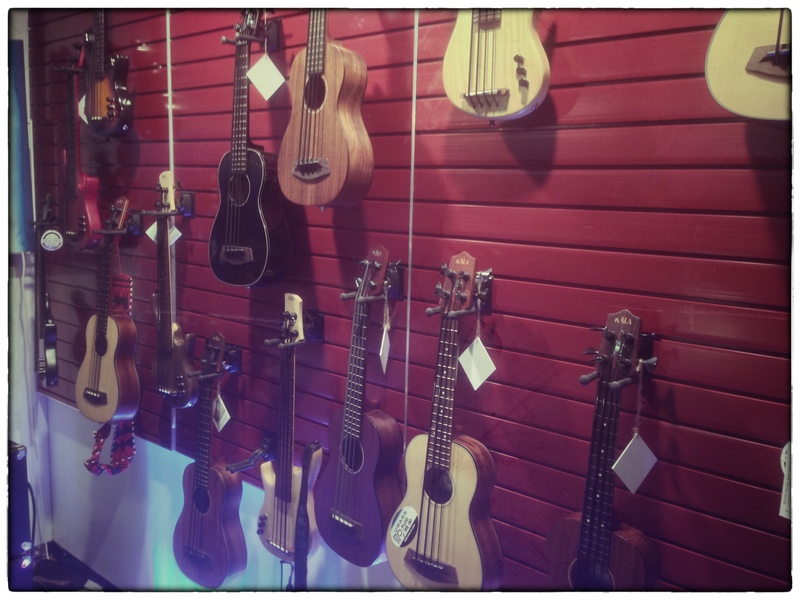 A lot of nice ubasses to try out! Another reason for my visit was to finally meet Mike Upton and Rick Carlson from Kala headquarters in Petaluma, California. It was great talking to them at the UBass booth! Thanks guys! 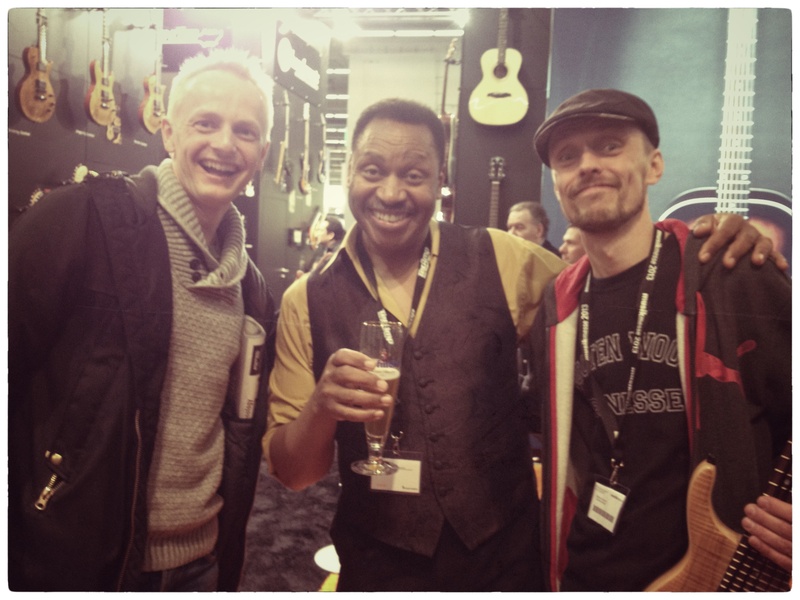 Mike Upton, me and Rick Carlson at the UBass booth! 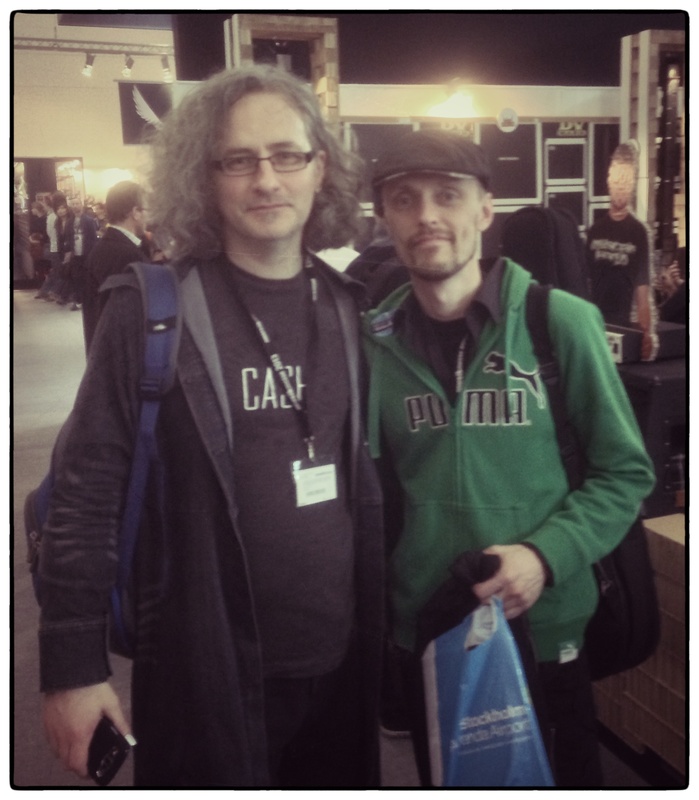 I also met and got to jam with a great ubassist that played in the booth, Armin Alic. Please check out his band, Royal Street Orchestra! 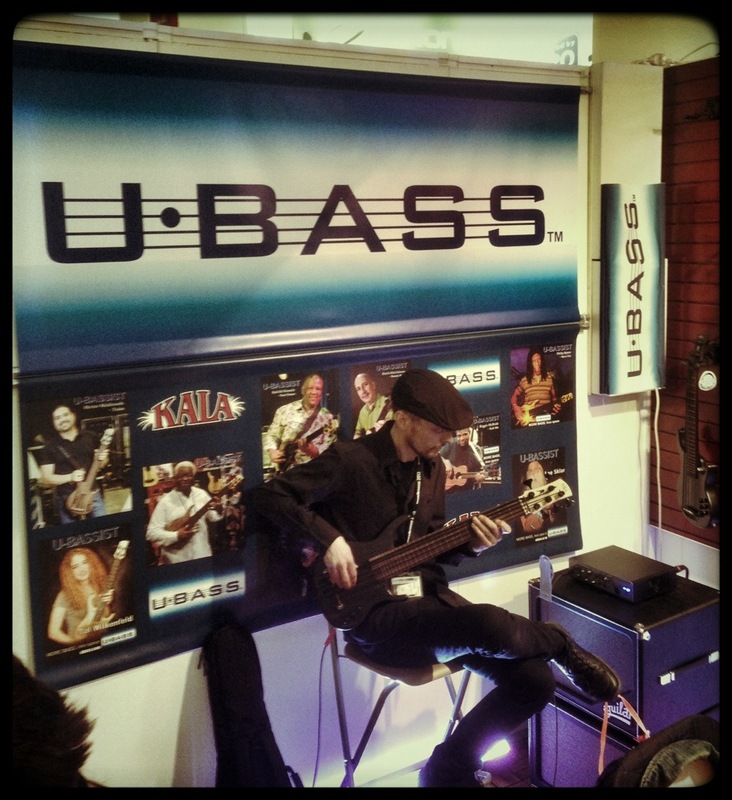 Armin Alic and me jammin’ at the Ubass booth! Besides hanging and jammin’ in the UBass Booth I checked out a lot of nice instruments and pro audio stuff! The best booth jam I saw was probably with the great Etienne MBappe, his son Swaeli and a drummer. Sorry, didn’t get the drummers name. Great groove! Etienne and Swaeli MBappe with a great drummer! I got to meet a lot of great musicians. Among these was Gary Grainger (I met him almost 20 years ago in my old home town when he played there with the great Dennis Chambers on drums, a Norwegian keyboardist, Hakkon Graaf and Swedish guitarist, Ulf Wakenius. It was nice to talk to him for a bit! Dennis Chambers and Gary Grainger on YouTube! 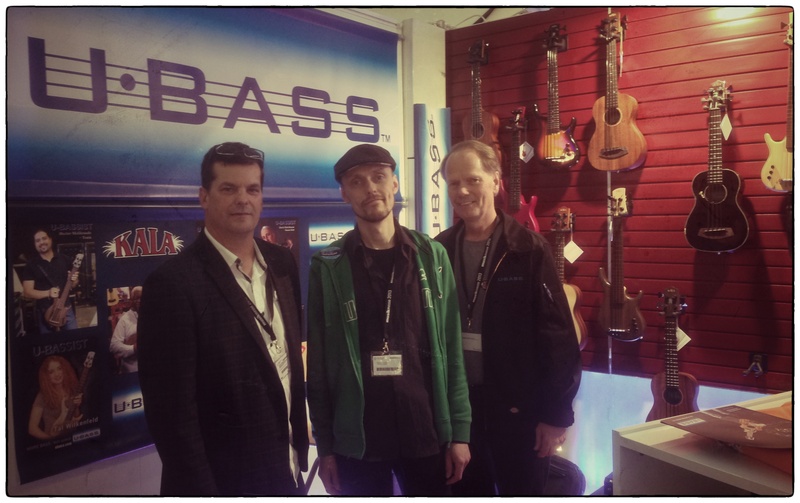 When I was at the Ubass booth a great bass player and someone I have listen to a lot through the years stopped by. It was great seeing Billy Sheehan! A new Niacin record has just been released. It’s called Krush! 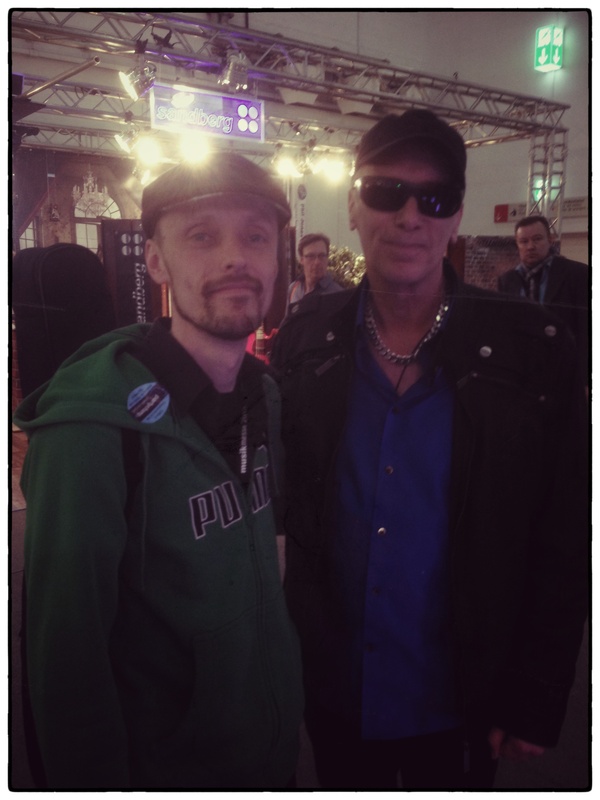 Me and Billy Sheehan at the UBass booth! Steve Lawson, a great bass player that plays a lot of solo shows using looping and effects was also there. It was two years ago we first met at the Victor Wooten Music/Nature Camp that I have blogged about before. 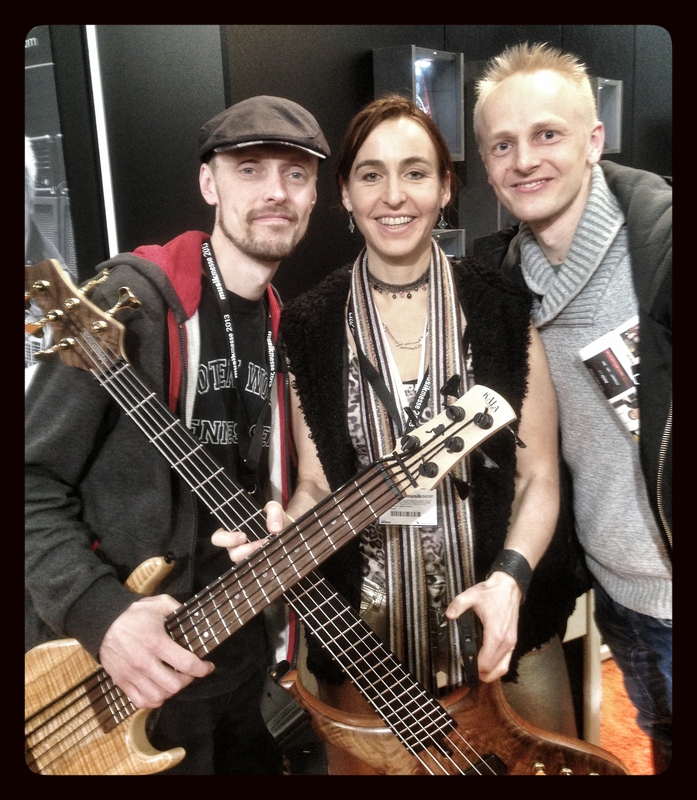 Ariane plays Marleaux basses from Germany and I got to meet Gerald Marleaux and his staff. Great people and wonderful instruments! Playing a Marleaux Consat Sopran! I also got to jam with a great bass player from Israel, Or Lubianiker. Hopefully we’ll be doing some collaboration in the future! I didn’t get to play with Christopher Bolte this time but was also a great player! 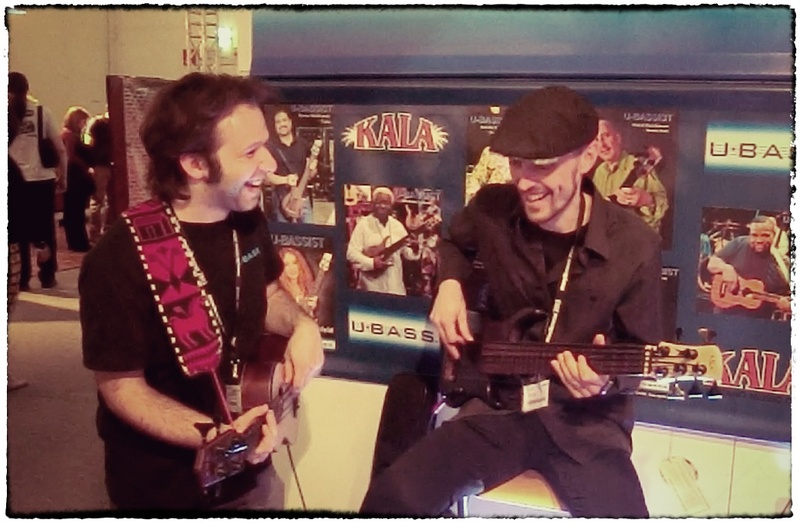 …AND when I got home the Kala Acoustic-Electric UBass had won one of the M.I.P.A. Awards in the Acoustic Bass category. Great news! < Kala Solid body UBass review of the S.U.B and Custom California! Pingback: Review/Test Report: The RMI Basswitch IQ DI – my new preamp/EQ/DI/A-B switch… | Play UBass!